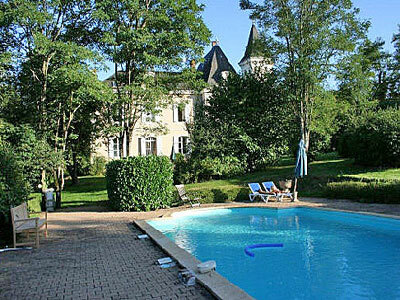 The village of Courbefy in the Limousin, in central France has attracted massive attention after news leaked out that the entire village was for sale. Originally a Roman settlement, thevillage became a holiday complex during the 1970s before bankruptcy forced its sale. The holiday complex survived until around 2008 when the venture collapsed with debts estimated at 580,000 Euros. It was initially put up for auction in the middle of February 2012 for a minimum price of 300,000 Euros but failed to attract a bid so, it is now in the hands of bank Credit Agricole, and the bank hopes to put it up for auction again, but this time there is much more interest. Since word leaked out to the media there have been a number of articles, and it is widely rumoured that a Dutch TV company want to buy the village for a reality TV programme. The new auction date has now been set for May 21, 2012. Included in the sale are 19 properties, a swimming pool that requires significant renovation, a community hall, stables and several acres of land surrounded by in an area with views. 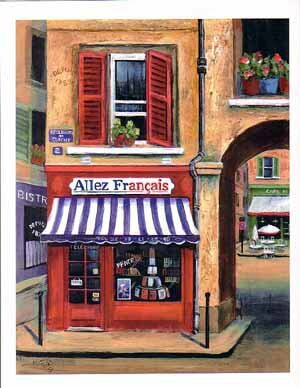 We are often asked about the requirements for selling a 2nd home in France, and the procedures that ex-Pats have to follow. 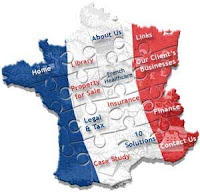 French laws require that non-resident sellers are obliged to appoint a représentant fiscal on the sale of property in France. The role of the fiscal representative is simply to verify that the correct amount of tax is being collected by the Notaire upon completion of the transaction. The cost of the process is up to 1% of the selling price of the property. There is dispensation where the sale value of the property is less than 150,000 Euros, or where there is an exemption from capital gains tax. Where the couple are married or in a civil partnership then they are treated as single fiscal household for the purposes of the threshold. Where they are not married or in a civil partnership, and the property is held ‘en indivision’ then the threshold is appreciated by the proportionate ownership of each ‘indivisaire’. Private companies are always required to use a fiscal agent. These representatives are accredited private companies and as they are relatively unknown to non-residents, they are frequently appointed by the estate agent or notaire at the time the compromise de vente is signed. Residents of France are subject to fixed rates of capital gains tax of 19% (an increase from 16% in 2010) plus social charges, which increased from 12.3% to 13.5% on 1 October 2011. Non-residents pay tax on French property gains at 19% if resident in the EU, Norway or Iceland and do not pay social charges. Vendors resident elsewhere may have to pay 33.33%, with no social charges, although this has recently been challenged in France by EU nationals living outside the EU, on the grounds of discrimination. A person who is not resident in France, may also be tax due in their home country on the disposal, subject to any double taxation relief. This is a point often overlooked by vendors.